Record Store Day Is Back This Saturday At Intense Records, Chelmsford! 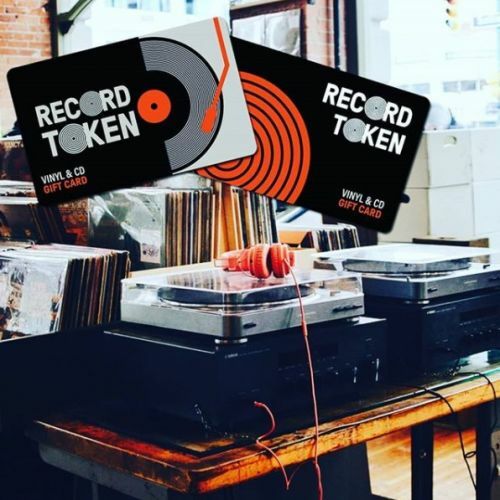 This Saturday April 13th will be like Christmas Day for vinyl lovers as they visit record shops to celebrate Record Store Day to get their hands on exclusive vinyl releases and this will also be happening in Chelmsford’s very own independent Record Shop, Intense Records by the Bus & Train Station. There are hundreds of limited edition releases catering for every taste and genre including artists like Madonna, Prince, Chic, Bronski Beat, Morrissey, Pearl Jam, Elvis Presley and heaps more. David Bowie has a trio of releases including a picture disc of ‘Pin Ups’. Queen release Bohemian Rhapsody on 7” single and the film soundtrack on 12” picture disc. Dance music fans are in for a treat with releases from Fatboy Slim, Future Sound Of London, Orbital, 808 State. Prodigy fans will be turning up in force to grab the limited edition double 7” gatefold vinyl. 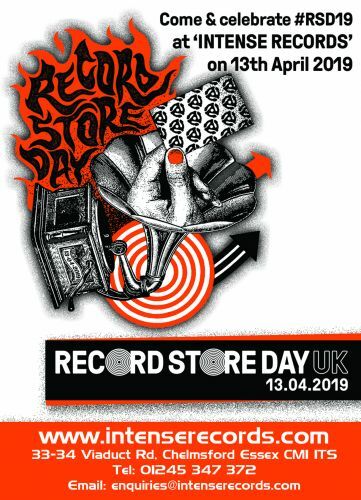 Open from 9am-6pm Intense Records will be holding and instore event with live DJs, local bands, special guest appearances plus competitions, food stalls , licensed bar and more. 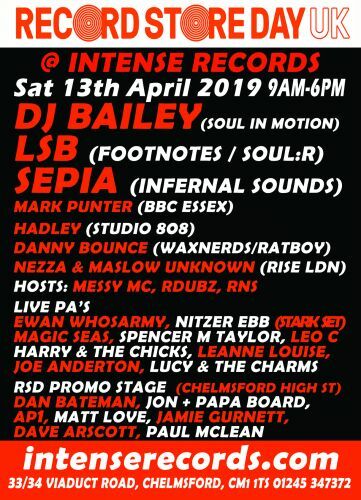 For those that can’t make it on the day, Intense will be opening up Sunday 14th April from 10am-4pm.